Watch out, Charlotte! The next big thing to head to the booming city is anything but run of the mill. 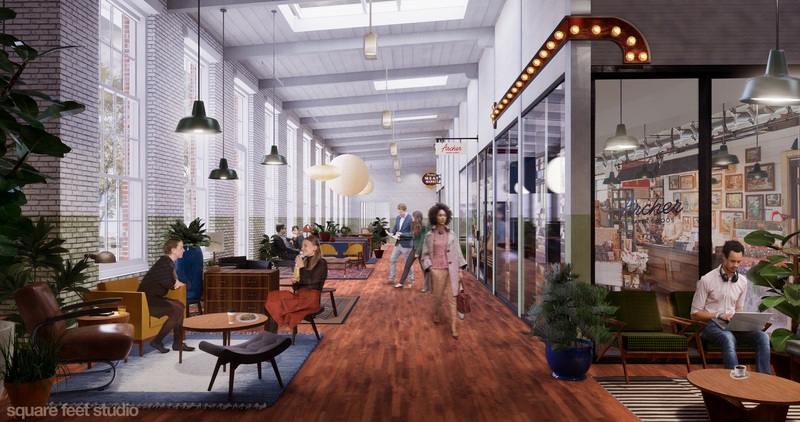 Optimist Hall, a former textile mill that’s being redeveloped into a food hall featuring restaurant, retail and office space, is packed with already-named and soon-to-be-revealed, ultra-cool tenants! Charlotte-based White Point Partners and Atlanta-based Paces Properties recently shared the names of four new tenants. Joining the lineup will be stationary and supply shop Archer Paper Goods, award-winning cocktail bar Billy Sunday, nutrition-focused pet store Pet Wants, and Charlotte’s favorite dumpling, dim sum and Sichuan food truck The Dumpling Lady. Set for a spring 2019 opening, we’re already counting down the days! For more information, read the full press release.